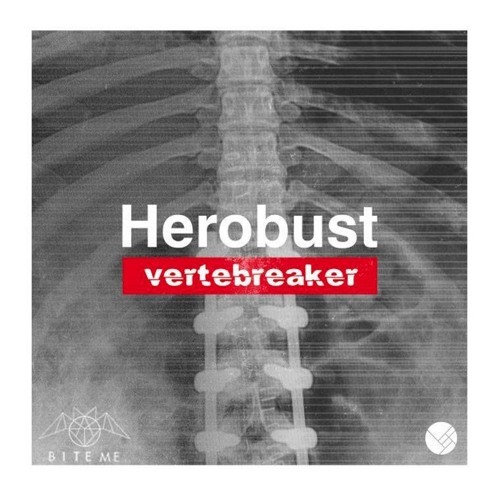 When Herobust came out with his remix EP for the ‘Vertebreaker‘ album, the ‘Vertebreaker‘ song remix was a bit of a disappointment. Sure, the remix from JSTJR was enjoyable, but it had the makings of a Moombahton edit more than a full-fledged remix. There was more to be desired for the remix of one of the dopest tracks on the album. Fortunately, Chicago producer Bite Me just came along to give the song the full remix treatment it deserved. In this ‘Vertebreaker‘ Hybrid makeover, Bite Me accomplishes everything a remix is supposed to do and some. He preserves the presence of the original track by taking up a similar form in the intro and even in the pattern of the delayed drop. However, there’s also a clear shift in tone right from the start, using an eerier intro section that both relates it to and distinguishes it from the original. It then distinguishes itself from the original in the most important way a good remix can: the sound design. And oh boy, the sound design on this one is crazy. If the sound design in the original Vertebreaker is supposed to break your neck through sheer force, then Bite Me attempts to do it through insanely clean, sharp, and gritty instrumentation. You’ll get a mental whiplash just by trying to keep up with these cuts. The sound design is also incredibly diverse, featuring 3 sections that use entirely different synths yet are just as clean. Bite Me has packed the same amount of content you’d expect to get out of 2 or 3 songs into one enjoyable experience, all while still connecting it to the original track.